Do you have a friend who seems to have it all together? Perfect life, perfect home, perfect car, perfect family............. they seem to have it all. But do you find yourself trying to measure up, failing at it all, sizing your life up by another person's? It can be exhausting, spirit crushing and will make you feel down-right pitiful! I admit, I have been there - and it made me a little nuts. Sometimes it is even worse when you are doing everything you can to just hold it all together - including living out your faith in God and serving Him - and it might just be that person "living for themselves" that seems to be getting their socks blessed off!!! What can we do when we find ourselves in that place where our reality looks so much less "lovely and perfect" than everyone else around us? 1. Be thankful and realize your blessings. Take a look around and see where your blessings come from. Look for the small things, the large things, the blessings that only you may have. Keep a journal and list something every day. Your list may have the big things, like health, strong marriage, financial blessings. Some day's it may be simple, lemonade on a hot day, the butterfly you saw, a mud pie left on the counter (forget the clean up)! When we look at our blessings, we find peace. 2. Never forget that you belong to the Father. You are loved and adored. You belong to a good, good Father and He will never leg you go! Know who you are, write scriptures down to remind you. I often keep scriptures on my mirror (and in my kids bathroom mirror) that reminds me just who and Whose I am. 3. Stay away from media. We have the world at our fingertips. Facebook, Instagram, etc is in our moment by moment lives. We see all the lovely things (and not to lovely) people post. Their Bahama vacation, new car, perfect child at dance, new house (clean house)... just perfect! But if viewing these things all the time is hurting your ability to be THANKFUL for your blessings, however small they may be, shut off the media. 4. Think about real life. Many times what is on display is not the "real" life. Perhaps their big new car, hides a rocky marriage. Maybe their perfect portrait really isn't so perfect after all. Reality is... no one has a perfect life. No one. Let's remember to be thankful for our blessings and gracious to others. God loves each of us and wants good things for His children. May we all keep our eyes on Him and count our true blessings, the ones that really make a difference - especially eternally. Can it really be April? It seems that time goes by so quickly these days. Every moment is planned, or somehow becomes planned... it is crazy. I tell myself every day, I need to blog, I need to journal.... yet it still somehow goes undone before I fall crashing into the bed each night. When did life become one blur of "fast forward"? I need to slow down. I need to choose my "must do" and "need to do" and "want to do" and "no thank you's" better, but how exactly do I do that. Maybe I'll find the answer this year, maybe I'll be a better mother, daughter, wife, teacher, worshiper.... maybe. 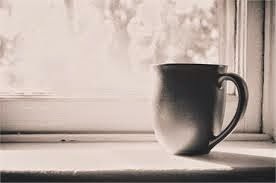 But for today, for this moment, I am sitting here in the quiet of my office, waiting for time to tick by, so I can go on to the next thing I need to do today... but I am soaking in just a few moments of worship, a few moments of Jesus.... I am so thankful that even in my hustle and bustle of life that seems to keep whirling around like a hamster wheel, He continues to draw me in, to draw me close, to welcome me at any moment in time. He loves me - I love Him. Enjoy the following worship video, one of my favorites right now. We all sin. We all can be forgiven. He took everything upon himself, so that we could have everything He has for us. His grace, His mercy, His love, His acceptance, His forgiveness.... everything He has is available for us. There are days when I just want to run and hide! You know those days... when you feel so much less than you are, like you are failing at everything. You are pulled in every direction, from everyone who needs a part of you. You feel completely under qualified and totally overwhelmed! As a mom to my clan, I have to do the same - have unfailing love. I have kids of all ages and in all stages... and they do things that I do not approve of. But I love them, in spite of their best accomplishments or total messes. I am so thankful for the unfailing love of my Jesus. I've really never look at this verse very closely, until today. My daddy always had a garden. He often would leave the seeds in the house to dry out in the fall. I loved to play with the seeds and just let them fall through my fingers. But those seeds would just lie there until he put them away. When planting season would come around, daddy would till the soil, and we would plant the seeds. Drop them in the dirt and cover them. They would grow and grow - we would harvest. It was after some of these vegetables were cut and had "died" that the seeds would be harvested. Jesus - had to die, be buried and be raised from the dead - to bear much fruit. It was after He completed what He was sent to do - bring salvation to the lost. He bore much fruit. We are the same - we have to die to self, allow Jesus to change us, till the ground, plant within us, and we grow - to produce good fruits. Sometimes death is painful, we have to surrender OUR wants, for His best. But oh how great the reward in the end. I am totally on track with my reading for the year, horribly behind on my blogging! Reading James - I will be honest, I have a love/hate relationship with James! Considering it pure joy when I face trials............... not so joyful here! Blessed is the man who perseveres under trials.................. God I've been persevering for almost 3 years now, as we walk through this horrible road. I realize that the goal for standing the test isn't a crown here........... it is in heaven. But could I please just have a little break from it all while I'm still here? But then he says: "Every good and perfect gift is from above, coming down from the Father of the heavenly lights who does not change like shifting shadows." Ahhhh.... You really do not ever change... whether through trials or through your good gifts - you are always constant and always the same. Thank you! My heart is really heavy for someone I love so dearly, who is set to wreck their life, and I can do nothing about it. They can't see good gifts, they refuse to realize trials are only for a time, they get just close enough to God to feel His presence and then run screaming..... I do not understand. My heart is breaking... because all it would take for real joy and real peace if for them to just STOP and let God heal their brokenness. Allow God to give them good and perfect gifts - knowing that when trials do come - He is always constant. Why can't they see - regardless of whether life is great or life is hard - He just wants them to trust Him, because He never changes. Father, I pray for my loved one who is running so hard away from you, as for the person who may be reading this who is running. God I pray, that your light would shine from the heavenlies and they would just STOP running and allow You to work in their broken places.... broken hearts, broken pasts, broken marriages, broken promises, broken families..... wherever they are broken - may they know YOU are always constant and they can depend on You. I have started today, with a reading plan to go through the Bible in 365 days. I read through the Bible about 2 years ago in 90 days, and although I enjoyed it, I know there is so much more God wants me to see and know about His word! So - with all that being said - although I probably will not post a daily thought on what I read, I do plan (hopefully) to be consistent sharing the words that speak to my heart. I have read about Cain and Able many times - you know they both knew the difference between right and wrong... but Cain was entertaining sin. In Gen 4:7 God told Cain - If you do not do what is right, sin is crouching at your door; it desires to have you, but you must master it. All these hundreds and thousands of years later - we are still just like Cain. We know what is right and what is wrong. If we would only do what was right. But instead - we allow the sin crouching at our door to overtake us. Sin desires our very life. It is only through the Blood of Jesus that we can overcome it. Even in Genesis - God knew how desperately we would need a Savior. My thought - for 2015 (and always) purpose to do what is right, in all things. Because the enemy of my life wants nothing more than to drag me down to his level.... But I have a Savior! I am happy to see 2014 go, although I have some beautiful memories - I am looking with anticipation to mountains being moved in 2015. According to something I quickly read today, the biblical "meaning" of 15 is Peace. Should this be truth, that is my prayer for 2015 - Peace. I can honestly say that I have learned even more about trusting God in all things this year. I have learned to extend more grace. I have learned to be thankful when other's show love in so many ways, by being His hands and His answer to my needs. I have learned more about contentment. I have learned to love my family better and to pray harder. I have learned (although not enough) to believe in His timing and His planning - more than my own. My list of things I have learned could go on much further than this. I am just thankful that God still uses situations, people, words, prayers and so much more to teach me more and more about Him. Welcome 2015 - let's see what God has in store! Here is a list of books I have read this year. I recommend every one! Waiting for something you KNOW is to come is very hard. Waiting for something you want more than anything, but have never been promised, is almost impossible. But for Elizabeth and Zechariah - waiting became their miracle. Though disappointed and quietly suffering, Elizabeth held onto the promise that SHE was God's child, all while waiting, praying and listening. Elizabeth was old, way beyond her years of bearing children, but she desperately wanted a child. She prayed and prayed for God to answer her deepest desire. She had waited for years - and still no child. Can you imagine the whispers and the looks she received from the local women? Bearing a child, especially a son was of the utmost importance. Being barren was to be almost worthless. Elizabeth carried that burden for many years, yet she prayed - she waited - she hoped. Zechariah was an important man, he was a priest. He held a place of honor that very few held. He was of a honored line of priests. Yet he had no son to carry on his lineage. But he served, he prayed, he was faithful to God in all things. Many years past the age of normal fathers, his time came to serve in the holiest of places. He was to burn incense in the house of God. He had no idea, what was in store for him, yet he honored God in all things. You can read the whole story in Luke, chapter 1. But God provided the impossible for this couple who served Him. He provided a son. God didn't wait too long, He didn't make them wait for no reason. His plan was perfect - they would be the parents to the baby who would one day "proclaim and make ready" the people for the Messiah. God knew that an angel would appear to a young woman, not even married - just beginning her life, and she would become the mother of the One who would save mankind. His timing is perfect. The God chose Elizabeth- a woman with an unproven womb, an older woman for a purpose. God chose Mary - a young virgin girl, only engaged to be married, for a purpose. He wanted to display His might, His authority and His power. He wanted to do, what only God could do, so that everyone would know that He was the Author of Life. With Him, nothing was impossible. I know what waiting is. I know what waiting without a promise to hold onto is. I know what it is like to pray and pray, and not see any fruits from those prayers - but I also know that it is "MY" time table I rely on, not God's. His timing is perfect. If you are waiting - take courage my friend. Pray and listen in the waiting. Just as these women carried life inside their womb for 9 months.... they birthed a promise. God is faithful and He knows when the time is right - to fulfill His plans for us. Be faithful in the waiting... God is going to birth something amazing! Although my site is family and child friendly, other sites on Blogspot are not. Please be careful when browsing and clicking next to go to random sites, as there are many non friendly sites out there. Thanks.